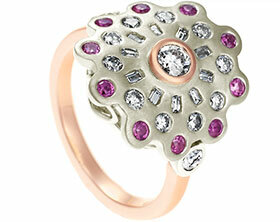 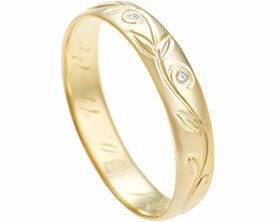 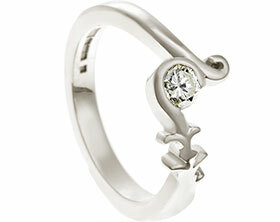 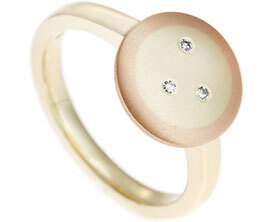 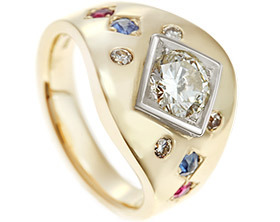 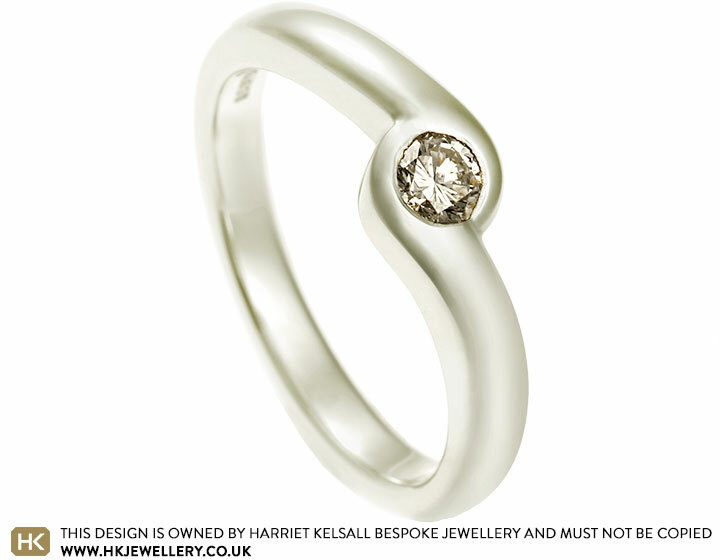 Emer wanted to commission a dress ring featuring a diamond that she inherited from her mother. 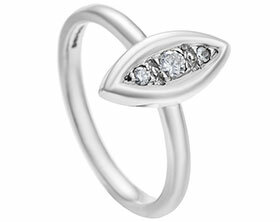 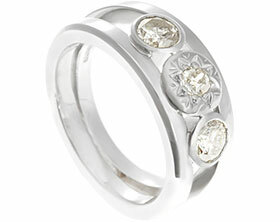 The ring has been hand made from 9 carat white gold and the beautiful round brilliant cut diamond has been all around set into a twisting cross over band. 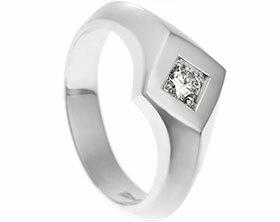 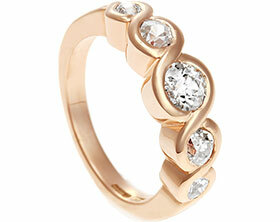 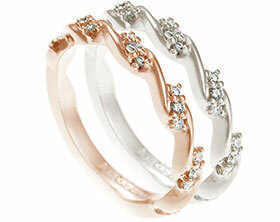 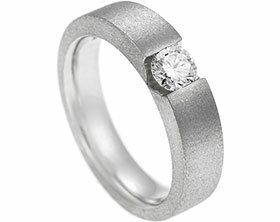 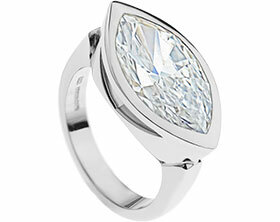 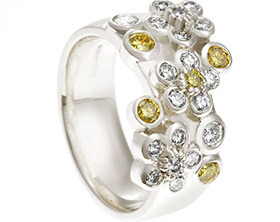 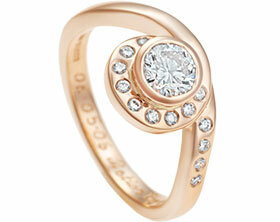 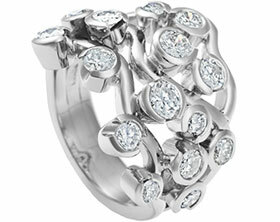 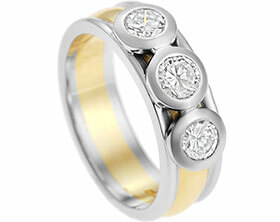 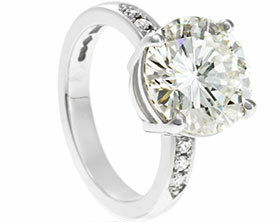 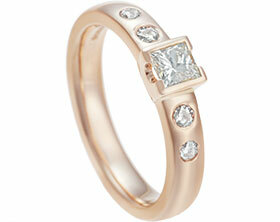 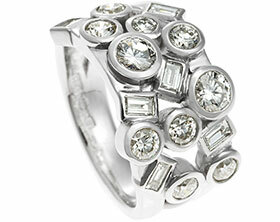 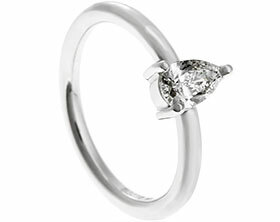 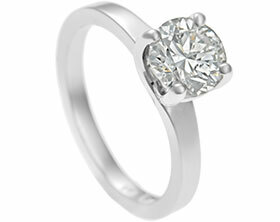 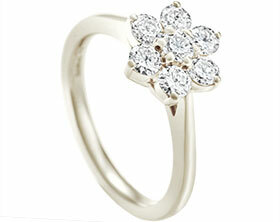 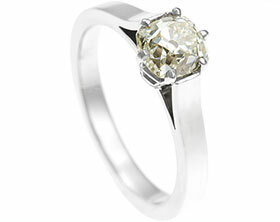 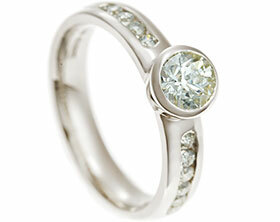 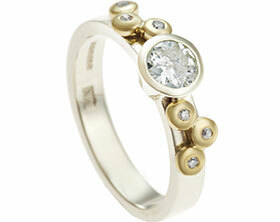 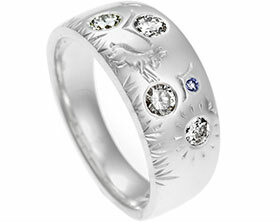 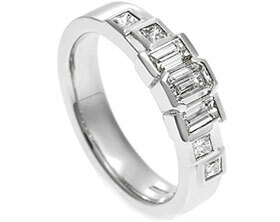 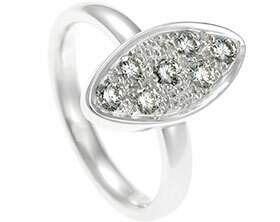 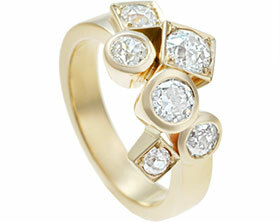 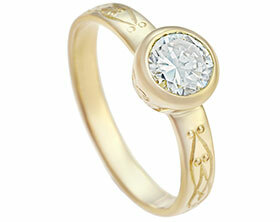 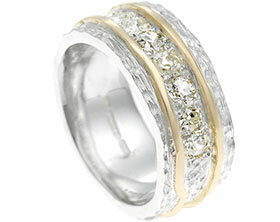 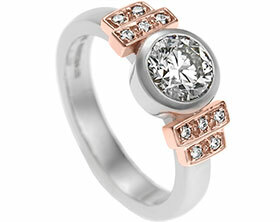 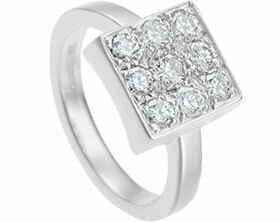 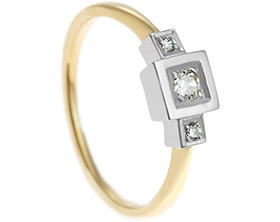 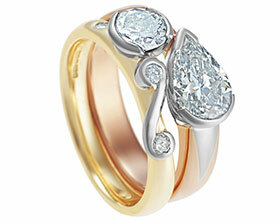 The modern design gives the diamond a new lease of life and a highly polished finish enhances its sparkle.